PRI will be engaging on two priority issues at the 24th Regular Session of the UN Human Rights Council which will open on 9 September in Geneva: the abolition of the death penalty and the human rights impact of the overuse of imprisonment. The session will run for three weeks and the agenda is packed, with over 40 resolutions expected. PRI has submitted two statements ahead of the session. Our statement on the death penalty welcomed the Secretary-General’s Report on the Question of the Death Penalty and details areas of concern. These include in particular changes to the law in some countries that have expanded the use of the death penalty, particularly for offences related to drugs and terrorism. The statement notes, for example, that drug-related offences do not reach the threshold of ‘most serious crimes’ that is required for application of the death penalty by retentionist states, particularly in recent interpretations by UN experts. Oliver Robertson, PRI’s Death Penalty Project Manager, will be attending a panel on the rights of children whose parents have been sentenced to death on 11 September. The following day, he will speak at a side-event on the same issue, alongside practitioners working with such children in Africa, Asia and North America. Our statement on the human rights impact of the overuse of imprisonment outlines how there has to date been little focus on the human rights impact of criminal justice policies, and while the Human Rights Council and its mechanisms have expressed concern over prison overcrowding time and again, no mechanism has yet been established to address its causes. We will also be co-hosting a side-event – Deadlock: the human rights impact of over-incarceration – on 16 September, with the Permanent Mission of Austria and the American Civil Liberties Union (ACLU). 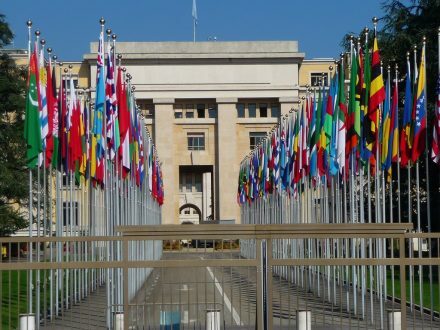 The event will take place in Room XXIV in the Palais des Nations between 13-15hr on Monday 16 September.